Great advice, most here is Inochi. I tink it turned out real well. A shame the water isn't so deep. It's okay folks - problem solved. Went to show transparent and found that it was all attached to a very small prim - which I could eject. I made an underwater scene in my alt's boat, and was photobombed by the shark! He is mostly friendly, a bit curious. If you will come and visit, please do. It is a badeball with a free swim HUD from Herk's Lab there. The waterscooter rezzer should work for all. Protected Land, Evallen (192, 244, 22) - Moderate Lands you on the sand next to it. Let me know if it doesn't. The doors is closed, but cam in as much as you like. Look at the bottom of the picture, it looks like a finger pointing up. It's the tip of a coral with underwater poses. It'd be more productive to regulate trolling to make sure it's effective - bridge inspectors, etc. It is what it is. Did ya happen to see Dead Pixels on E4 last nite? Takes the peas out of the pixel pumping, shows what really goes on behind the avs. They do not need a witness as they have access to the chat logs and other tools to look into the matter so there is nothing new that a witness could tell them. If your friend feels they were wrongly banned, they need to open a support ticket and explain the issue in a polite and cohesive matter. Bans have been reverted in the past, but if the facts are there and speaking volumes it's very unlikely that your friend will be unbanned. Bans are not issued lightly, there is such a thing as temporary bans. If your friend received a permanent ban it either means the offense was a drastic one that warranted immediate removal from participating in SL or they received previous bans that culminated into the permanent one. It's funny that this person seems so affected by all the adult things in SL. I don't encounter it 99% of the time because I don't seek it out and I don't test random beds in people's homes to see if the owner bought the PG or Adult version. The only time I do run into it is when I do a hunt that leads to an adult place but that is few and far in between. So one does not even have to select "General only". Thank you, what I was thinking is perhaps like witnesses providing the evidence that could change the mind of the matter perhaps? I do understand that it may be all just my wishful thinking, but I need to find out for sure. First off, only the person banned can dispute a ban. The issue is between that person and second life and has nothing to do with anyone else. It's a private matter, logically and legally speaking. A petition to get someone unbanned will not do anything safe for perhaps making you guys feel a bit better. All your friend can do is to contact support. 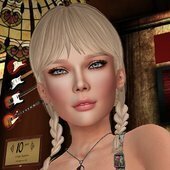 I want to ask how can someone petition a ban on sl? What happened is someone I know got banned from sl and from what I understand the reason for it was something I believe me and others could dispute. I fully understand that ll don't make these decisions lightly and that this might lead to nowhere but I also feel like I owe it to my friend to at least try and help them out. So any suggestions would be appreciated. Being stalked by Linden Labs? OK Billy , you make the valid point that there is no logical reason for LL to stack more regions per core. So then what IS causing this very real performance hit to script run? Please understand that I am clear about the use of the in-viewer admin tools and the performance drop was very sudden with a set of quite well integrated and understood items. Nothing else had changed. My question is and always has been: since I had changed nothing, why did script performance drop so drastically? I was 35 when I joined, but that was five years ago.